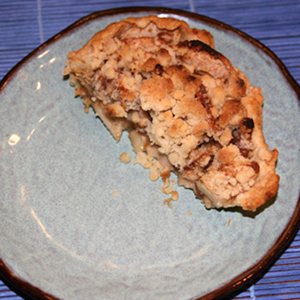 When I was a single girl, I never made a full-sized apple pie. Because who would eat it all? (Or worse, what if I ate it all myself?) 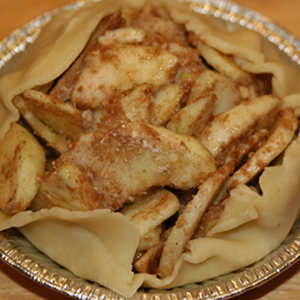 If you’ve never made apple pie before, making a baby pie is a good way to get started. Here are some photos to get you inspired to make a tiny baby pie which is suitable for two if you must share, or for one if you’re hungry. When is the last time you made apple pie? 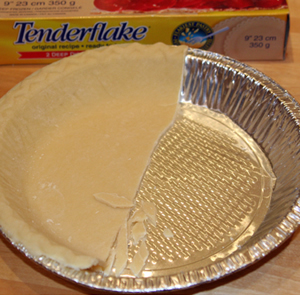 Cut a frozen 9″ pie crust in half and save the rest for later. 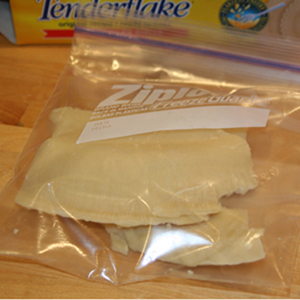 Put the half you’re using in a zipper bag and leave it on the counter to defrost. 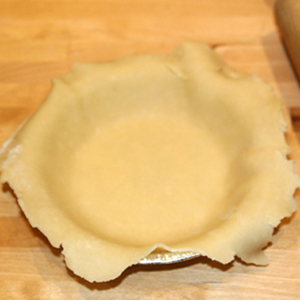 Roll out the pie crust to be just a bit bigger than your pie tin. 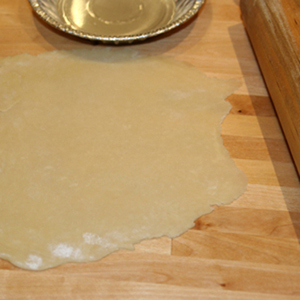 Place dough in the pan. 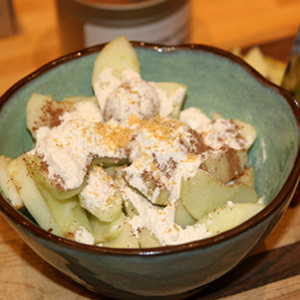 Now it’s time to prepare the apples, two different kinds for maximum squishy-ness and taste. 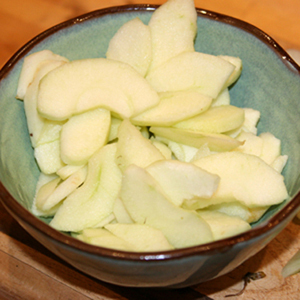 You slice the two apples, approximatley the same thickeness throughout. Toss with flour, sugar, and some spices to make it taste very yummy. 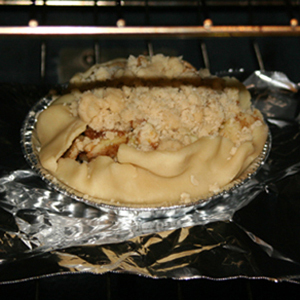 Put the apples in the crust and fold up the edges. 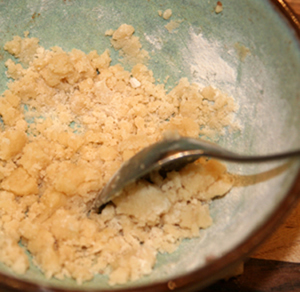 Prepare the crumble topping (butter, flour, sugar) and don’t overmix — keep a few large lumps. 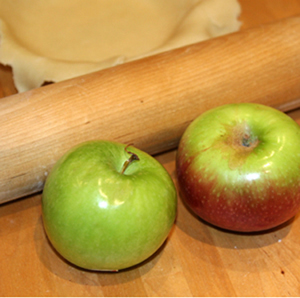 These pictures are just a sampling of the complete illustrated lesson for Apple Pie for One (Recipe 1.11) . The complete recipe lesson is available in Successful Home Cooking. My goal? To help you become a successful at-home cook. To order your copy of the 122-page full-colour book, click here. If you have any questions about pie or anything else, just send me a note. You can always reach me at Shelley@OneRoastChicken.com. All best wishes, and bon appetit!